1. 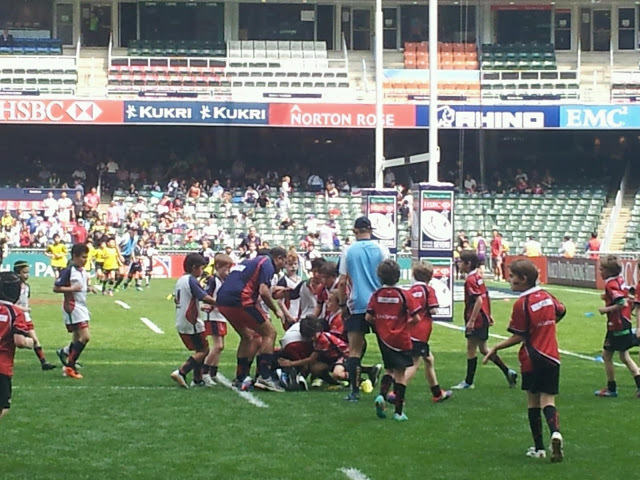 Nice opportunity to combine fame and game if your child, like mine is participating in mini rugby. 2. If you have that fancy dress and wig gathering dust in your wardrobe then this is the place to flaunt it. Who knows you might also make headlines the next day? 3. It is the most happening place in HK this weekend. You can relate stories to your colleagues or to your family back home for days to come. 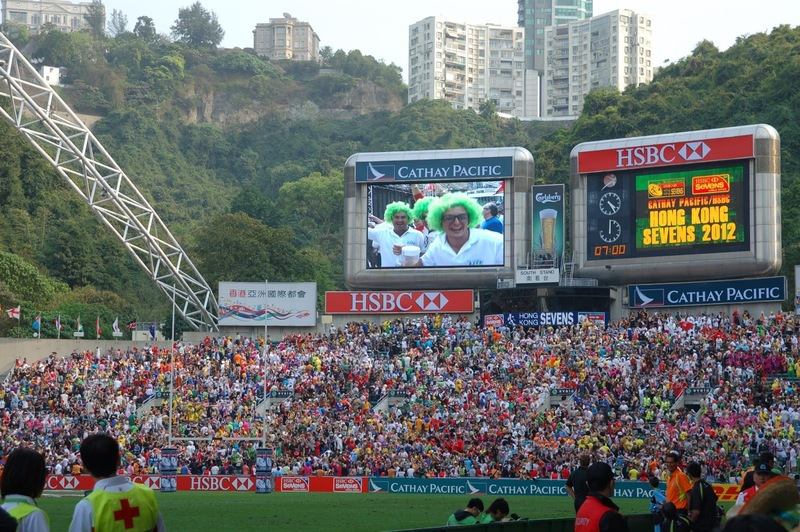 Besides if you are in HK and NOT at the sevens, then you will have a serious image problem. 4. A great family outing. The party atmosphere ensures that even the little ones are occupied. Just get them to make paper planes and set them off at the crowd. You might want them to target practice at home first! 5. If you are feelings lonesome on your own-some this is the best place to make friends with a complete stranger. Who knows you might even find your soul mate here? 6. Do you want to propose to your loved one in a different way but without breaking the bank? Display a “Marry me Jane!” message on the giant display screen for a small charge, what’s more that money goes for charity! 7. Last but not the least, to watch fantastic rugby, the fast moves, the deadly tackles, the deafening cheers kept even a non-rugby person like me, quite entertained! 1. 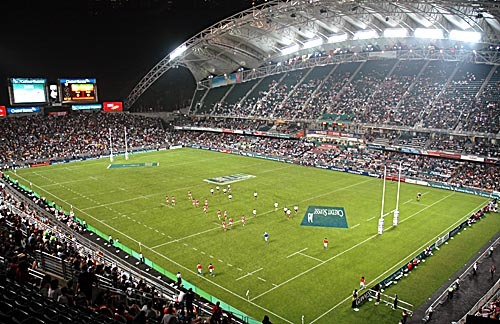 @ HKD 1500 per ticket plus food and beverage spend, staying at home and watching the game live on T.V. might be a better, cheaper option. 2. 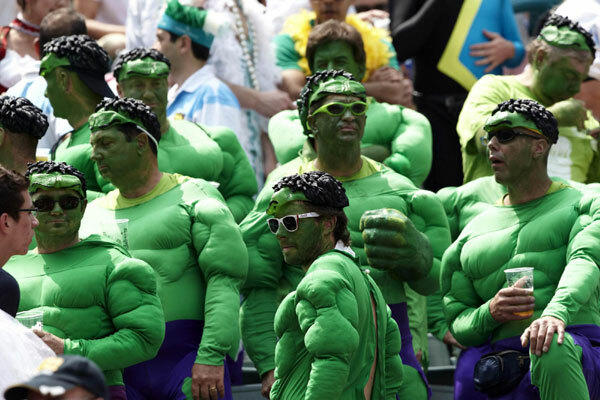 The crowd can get too loud and too raucous at times, verbal volleys for seats and general behaviour are quite common. If you are sensitive at heart, stay at home! 3. If you suffer from agoraphobia (fear of having a sudden panic attack that people might witness and getting away rapidly may be difficult. The sufferer avoids crowded places) then this is certainly NOT the place to be. 4. The crowd, specially the male species can get quite heavily drunk and nasty. Ladies, you might want to stay away, or make an early move out! 5. Although the HK police are very efficient in controlling the traffic, it is not easy to manage a crowd close to 40,000! Be ready for massive traffic jams in and around the venue. 6. Ready to be photographed anytime, anywhere? If not then stay away! Fans go crazy not only taking photographs of the games but also of the stands and before you know it you would be on facebook, viewed and shared by millions of people! 7. I tried my best but just couldn’t get any other point to crib about! 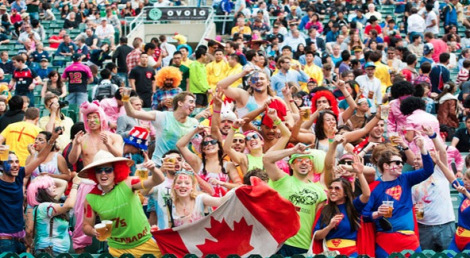 Well as a travel freak I would like to be at Hong kong Sevens to watch the zeal and fervor . Lets see if I get an opportunity in my life to witness it. Hi Vishal, yes you must do so. It is hard to imagine all the 'masti' and the madness through photographs and articles. One must see it to feel it! I am so surprised you didn't since you are one enthusiastic lady ready to go for yet another adventure, yet another event at the drop of a hat, anyway better late than never. Next year it is then! !